Clearly, La Simpson was not talking about sour cream. This falls into the category of “not quite a recipe”. You mix two ingredients together, wait 2 days and voila! 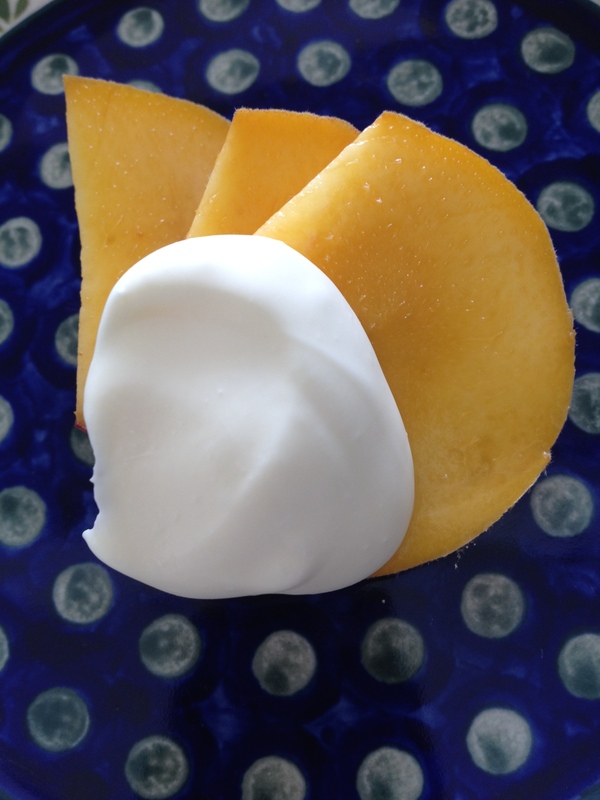 super tangy, super rich sour cream. I’ve decided this is “blog post worthy” because it was a revelation to me how easy it is, and I think maybe it will be for you too. I’m just sharing the love. So, why would you bother to make sour cream when you can buy it? That’s a valid question. Sometimes it’s just fun to have a cooking project. This is great to do with kids. Sometimes it’s about bragging rights. ie “Hey, guys. I made this.” But the best reason to make something at home is because it’s better than anything you can buy. 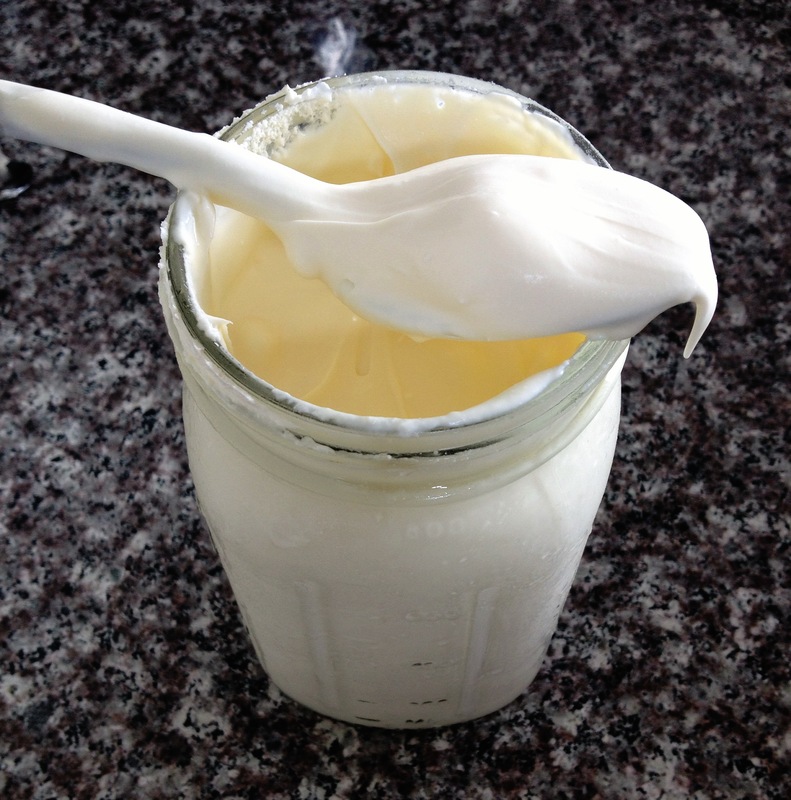 I started making my own sour cream on a fairly regular basis because I really love the flavor and consistency. There are really delicious sour creams, creme fraiches and Mexican cremas out there, but I haven’t come across anything that approximates this homemade version. The sour creams and creme fraiches are too thick, and most of the cremas I find have fillers like xantham gum, which make them, well, gummy. This is the best of all worlds: creamy and thick and tangy and unctuous. It’s so good. note: for best results pasteurized cream is fine, but ultra-pasteurized is to be avoided- it has a funky “cooked” taste. If you can get your hands on some cream from grass-fed cows (which, I usually cannot) that is the best. note 2: sometimes I use yogurt from a local Indian restaurant as my dairy culture- they make it fresh daily and it’s tangy and amazing- it tastes “alive” so I know there is thriving happy bacteria. If you use store bought dairy, just make sure the label indicates that it is pro-biotic or has a live culture. 1.Combine ingredients in a jar or clear plastic container. Shake. Place container on counter. 2.Wait 24 hours. Shake. Wait another 24 hours. 3.Stir. Enjoy! (on everything) Will last a few weeks in the fridge. Sounds so easy I will have to try it.